Although the economic recession has brought a lot of financial stress to both people and business, there are still some positive developments that can be gained from it. Perhaps it can be said that the recession has done some businesses good, particularly discount chains like ALDI. The recession has made people adjust their way of living and their way of spending. Because gas prices have continued to increase, much of the money is spent on gas and less is spent on other things, including groceries. In order to maximize their grocery budget, more and more consumers are now turning to less expensive private label brands, shopping at discount stores, instead of at conventional supermarkets. This is where ALDI gains positively. Ever since the discount chain opened its first store in Iowa in 1971, all of the products sold in the store are privately owned brands. Since the goods sold are from private labels, they are relatively lower-priced than their equivalent national brands. This does not mean that because the goods are cheaper, the quality is not excellent. This is because stores like ALDI also now invest in assuring the quality of the products, seeing as more and more customers are patronizing them. As a result, ALDI generally has lower-priced grocery goods, which appeal to consumers who are on a tight budget, but still want to buy as much as they can with the budget that they have. 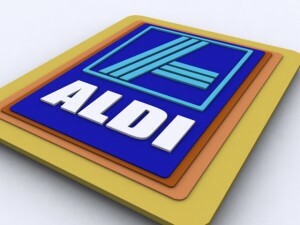 More and more shoppers are becoming regulars at ALDI stores because of its cheaper prices. As a result, ALDI is one of the rapidly growing businesses in the country, and in other parts of the world, as well.